Along with Mila Kunis, Kate McKinnon, Ivanna Sakhno & Zosia Mamet, Sam Heughan attended 'The Spy Who Dumped Me' special screening yesterday evening(July 29th) at The Whitby Hotel Screening Room in New York. 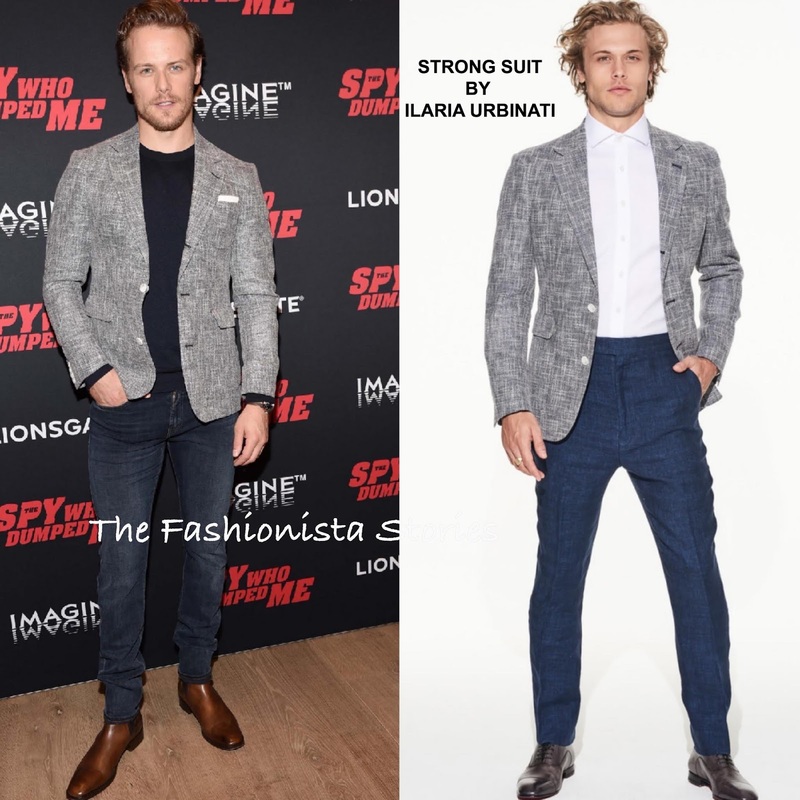 Rocking a casual cool look, Sam rocked the STRONG SUIT BY ILARIA URBINATI 'Ignatius' navy & white linen-cotton blazer which he teamed with a white pocket square, a black tee shirt and medium-dark jeans. Seeing as this was a laid back screening, his casual look was on tune for the occasion. However he could go up a size or two in the jeans & jacket. Brown boots finished up his look.